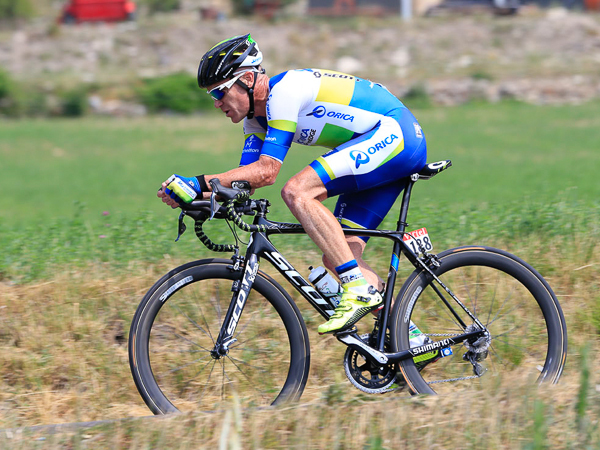 Come and watch a stage finish of the World’s most famous Cycling Race! Summer 2017 sees the 104th edition of ‘La Grande Boucle’ featuring 21 stages and over 3500km of racing. 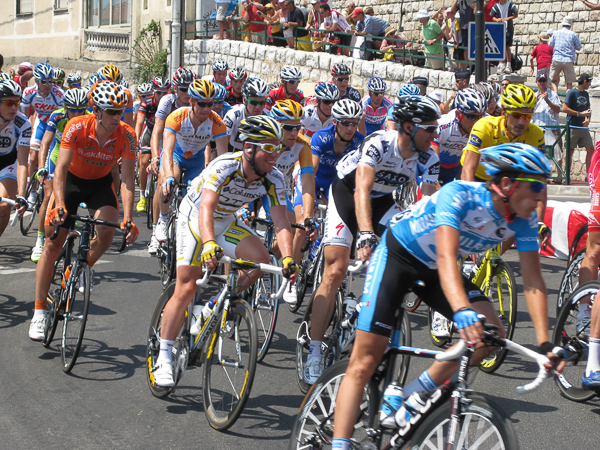 The oldest and most celebrated of the Grand Tours, the Tour de France requires no introduction in the world of cycling. The race visits the area on two seperate occassions this year, making our Bikeweekender base the ideal place to not only experience the racing up close, but also to ride stages past and present and challenge yourself up climbs made famous by this most celebrated of bike races. If you want to experience this gruelling race at first hand, there is no better place to be! From Thursday 6th of July to Monday 10th July 2017 we’ll be running a special Bike Weekender break at the Aravis Lodge to allow you to get up close and experience the atmosphere of the world’s greatest stage race at first hand. Join our Tour de France weekend break 6-10 July and see the race up close. Friday and Saturday rides will take in some of the cols made legendary by this famous race, with the opportunity to ride the 2016 edition’s Queen Stage. 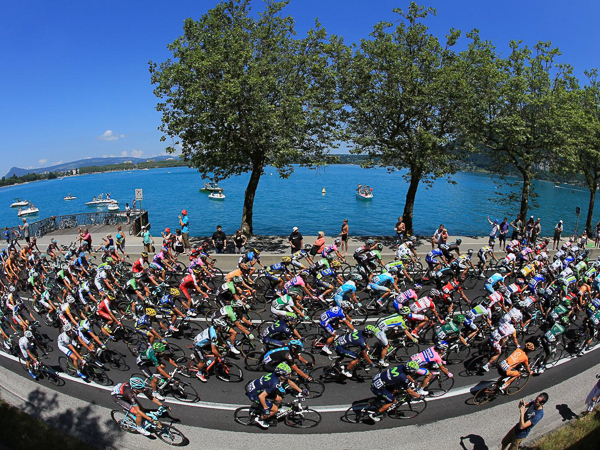 Sunday will involve a ride along the shores of Lake Annecy and in to the stunning Bauges National Park, before heading to Chambery to soak up the atmosphere and watch Stage 9’s finish. This is set to be one of the key stages of the entire Tour, so it is bound to have a tense and exciting conclusion. If you would like to experience the atmosphere of the world’s premiere cycling stage race first hand, why not join us for an unforgettable weekend of challenging riding, magnificent scenery and great camaraderie at our base in the Aravis Mountains. By the way, we also have English satellite TV here so you can catch all of the action/highlights on our large flat screen, so you won’t miss a thing! To whet your appetite even more, here are some extra details of the 3 stages which passed through our neck of the woods last year (2016) to give you an idea of your weekend’s challenges! Sallanches to Megeve Time trial – one for the climbers amongst the ‘rouleurs’ or the best ‘rouleurs’ amongst the climbers, this atypical mountain stage consolidated Froome’s dominiation of the GC going into the last two big mountain days. Albertville to Saint Gervais – a big day in the mountains crossing two different Forclaz on the way. The magnificent views of Mont Blanc didn’t ease the pain of 6 challenging climbs and some wet descents, not least the 12.4km HC climb up the Bisanne. Megeve to Morzine – arguably last year’s queen stage saved for the last day, taking in four of the northern Alps’ most iconic climbs, all accessible from our base in the Aravis, each climb getting progressively harder culminating in the brutal Joux Plane .